The following 34 "investment packages" were derived from recommendations in Corridor Mobility Plans for the nine corridors eligible for 2016 Mobility Bond construction funding in accordance with the ballot language approved by voters in November 2016. Those corridors are: North Lamar Boulevard, Burnet Road, Airport Boulevard, East MLK Jr. Boulevard/FM969, South Lamar Boulevard, East Riverside Drive, Guadalupe Street, William Cannon Drive and Slaughter Lane. The investment packages below equal an estimated $1.4 billion in mobility, safety, and connectivity improvements across the nine corridoes. The packages underwent a comparative analysis to identify the packages that would result in the biggest bang for the buck. The packages were divided into two improvement categories: Corridor-wide Mobility Improvements and Enhanced Multimodal Improvements. Corridor-wide Mobility Improvements generally include the ‘short-term’ recommendations from the Corridor Mobility Plans. These provide improvements across all modes along the entire length of the corridors, including pavement rehabilitation, intersection improvements, traffic signal upgrades, transit signal priority, better connections to transit stops, continuous ADA-compliant sidewalks along the length of the corridor, continuous bicycle lanes or shared-use paths along the length of the corridors, and in some cases intermittent median islands for safety. Enhanced Multimodal Improvements generally include the ‘long-term’ recommendations from the Corridor Mobility Plans. While each corridor is different, and the specific improvements may vary, the Enhanced Multimodal Improvements are intended to bring each corridor up to the ultimate vision established in the Corridor Mobility Plan. These improvements build upon the Corridor-wide Mobility Improvements and add full street reconstruction, wider sidewalks, protected bicycle lanes, intermittent median islands for safety, and streetscape improvements, such as landscaping and trees. Each package has three estimated costs: low, most likely, and high. The low represents the upper limit of the cost with a 10% confidence level, the most likely a 70% confidence level, and the high a 90% confidence level. This range is due to the level of information we have right now, and is typical of infrastructure project development.  City of Austin staff is proposing three approaches to funding the estimated $1.4 billion in projects: Full design and construction, Initiate Design and Possible Construction, Seek Additional Funding Opportunities. Full design and construction: Investment package will be fully funded through 2016 Mobility Bond funding and other partnership/coordination opportunities. Initiate design and possible construction: The City will start design of improvements in the investment package and the City will be seek funding and partnership opportunities to fund the project through completion. Seek additional funding opportunities: The City will seek to implement the improvements through partnership/coordination opportunities, and will seek additional funding opportunities. All recommendations are approximate, proposed, and subject to change. The exact locations of improvements will be determined in the Project Design Phase, and the City will work with the community prior to project construction.